The Fluke Networks PTNX1 Pocket Toner NX1 tools are pocket-sized, durable test devices that allow users to quickly and easily test voice, data, video cables for open and short circuits, and continuity. 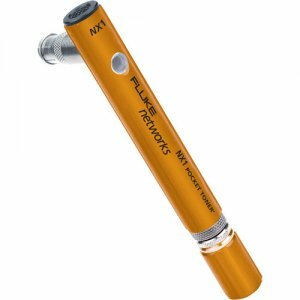 The Fluke Networks Pocket Toner PT-NX1 is ideal for identifying and testing low voltage, singular coax cables for continuity, opens and shorts. Low voltage protection and verification up to 52 volts.